Has Joe found a new victim? This week, Netflix announced Victoria Pedretti has joined season two of You. 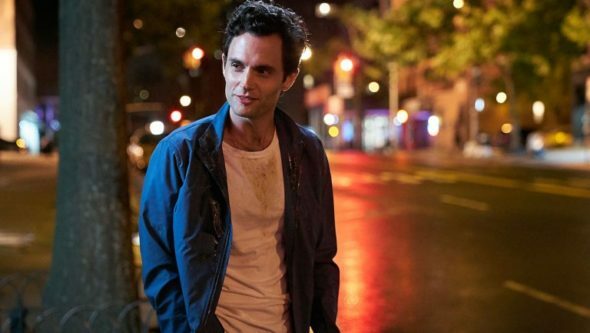 The psychological thriller centers on Joe Goldberg (Penn Badgley), a bookstore manager who becomes violently obsessed with an aspiring writer. The cast also includes Elizabeth Lail, Shay Mitchell, Nicole Kang, Kathryn Gallagher, Victoria Cartagena, and Luca Padovan. On You, Pedretti will be playing “Love Quinn, an aspiring chef who doesn’t care about social media.” Netflix has not yet announced a premiere date for season two, but it is expected later this year. What do you think? Have you seen You? Will you watch season two? More about: Netflix TV shows: canceled or renewed?, You, You: canceled or renewed?